We all know Michael Klim has won more than a few gold medals...he is the founder of KLIM - a men's range of natural skincare products. 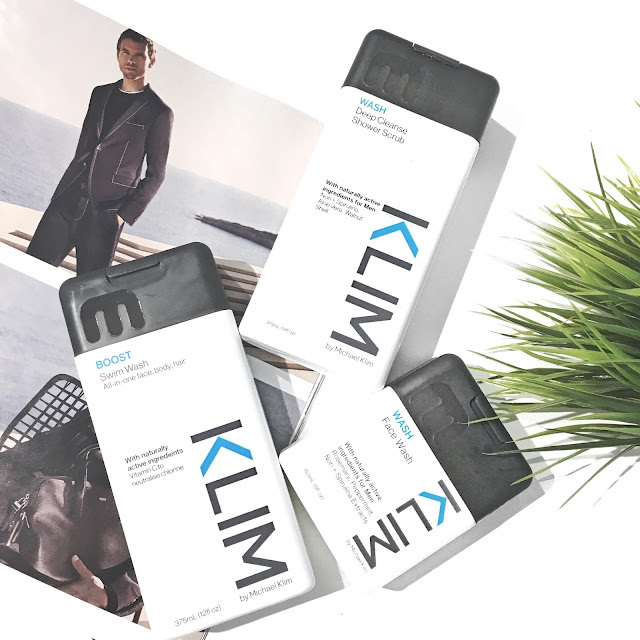 What's great about the new KLIM range by Michael Klim is that they include natural and marine based ingredients which are simple to use on a daily basis. Of course, the KLIM range is made especially for men who would like to take care of their skin more and feel good about it. Swim Wash, 375ml, RRP $14.95 - For your all-in-one face, body and hair wash which is perfect for after a swim. This product has everything that you need right after swimming in just the one bottle. What makes it unique is that it's super tough on chlorine. Deep Cleanse Shower Scrub, 375ml, RRP $14.95 - This scrub contains naturally active ingredients (marine ingredients) which help to leave your skin feeling smooth, cleansed and healthy looking. If your man just ain't loving your sweet and citrus scented shower scrubs, then you can definitely look to get him the Deep Cleanse Shower Scrub which may be suited for his taste. Face Wash, 150ml, RRP $12.95 - To keep his skin feeling smooth and glowing, make sure that he's using a face wash well suited for his skin. The Face Wash by KLIM uses a natural based formula which cleanses the pores effectively. There are no nasties included in the formula and most importantly, it's made for all skin types. All of the above mentioned KLIM products can be found here by Milk & Co.